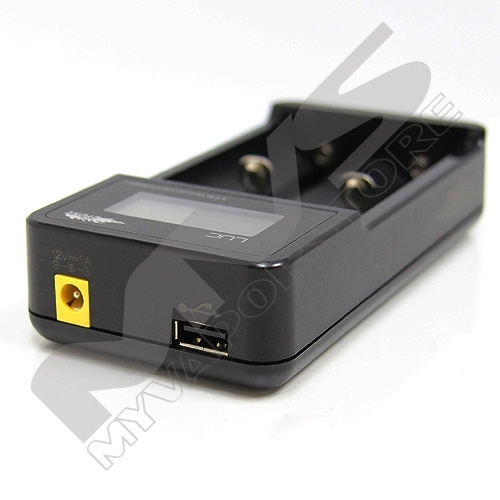 When the LCD displays Er(short for Error), the charger will stop charging automatically. This occurs when battery voltage goes below 2V within 5 seconds, the Er mark on the LCD screen will disappear once the battery is removed from the charger. I was looking for a cheap charger for the 21700 batteries I just bought and this worked out great. 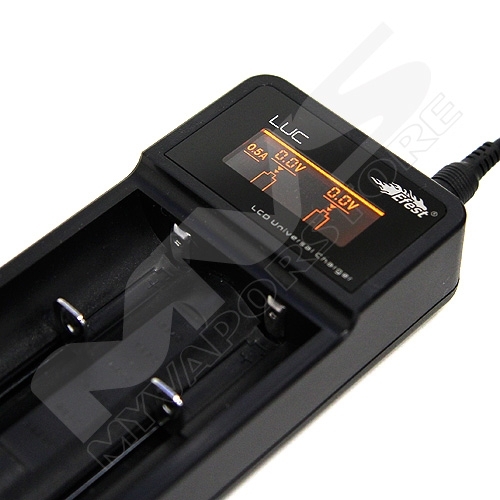 It will handle up to 70mm length batteries and up to 26mm width batteries. 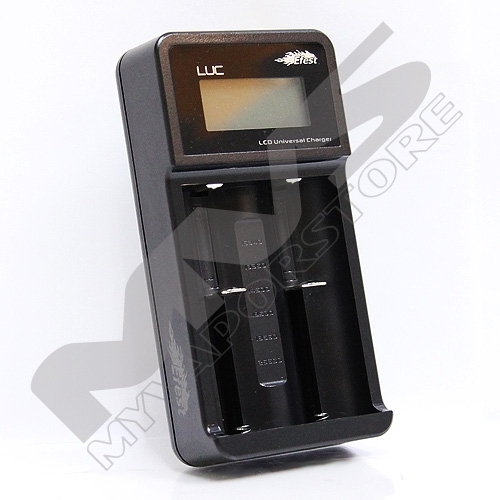 It charges both cells at 1/2 or 1 amp. 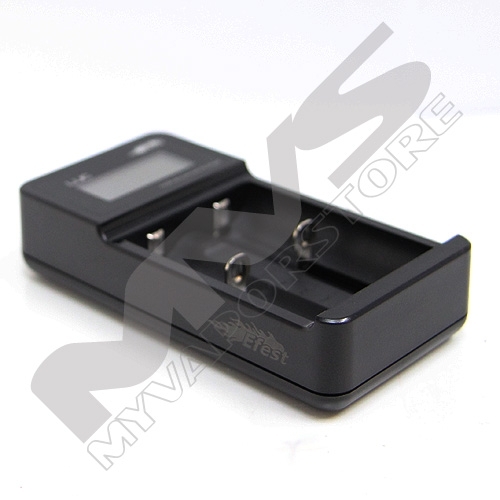 It displays the charging progress so you can approximate when they'll be charged. Unlike other reviewers, I had no trouble using the usb charger function. I slapped a fully charged battery in the left side and a usb cable in the port and charged my phone with it. It worked fine, and had a nice charge remaining indicator for the battery in use. For $20 you can't go wrong. Buy it! Thanks MVS for the great service and fast shipping. Works great! Shows the charge progress and voltage. Comes with car adapter to. Works as expected, fast shipping!